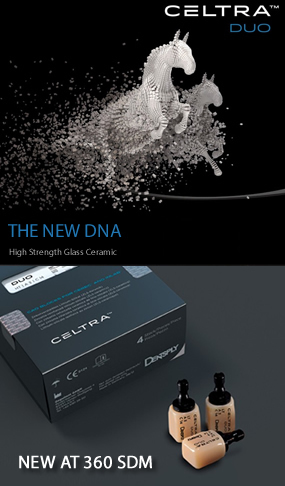 Excellent for implant crowns, inlays, onlays, and veneers. 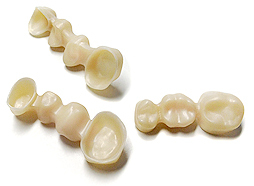 Crowns, inlays, onlays, (thin) veneers, implant crowns. 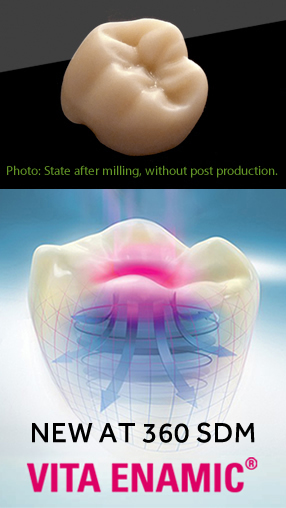 PMMA – tooth-colored long-term temporary Crowns and Bridges. Individual zirconium abutments for all major implant systems using original titanium bases of the manufacturer or third party. Milling center for individual one-piece titanium abutments. NEM for caps, frameworks and full contour crowns and bridges.